Welcome to the 2016 Ornament Exchange & Blog Hop! 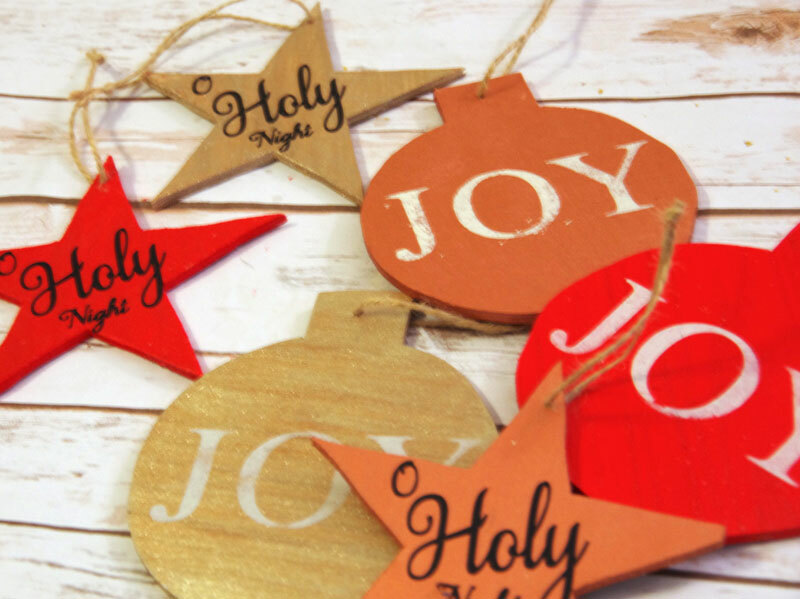 This is my first time participating in this event but the rules of this exchange were simple – create a handmade ornament for under $15 to exchange with a partner and share a tutorial for all of our readers. Sounds like fun! The first thing I did was make the pattern or template for the ornaments. I created my ornament shapes in Silhouette Studio® and printed them out on copy paper. If you don’t have Silhouette Studio®, you can simply free-hand these simple shapes or trace around a round object and add a small rectangle at the top for the round ornament. Or download the PDFs for these shapes by clicking here for the star and here for the ball. 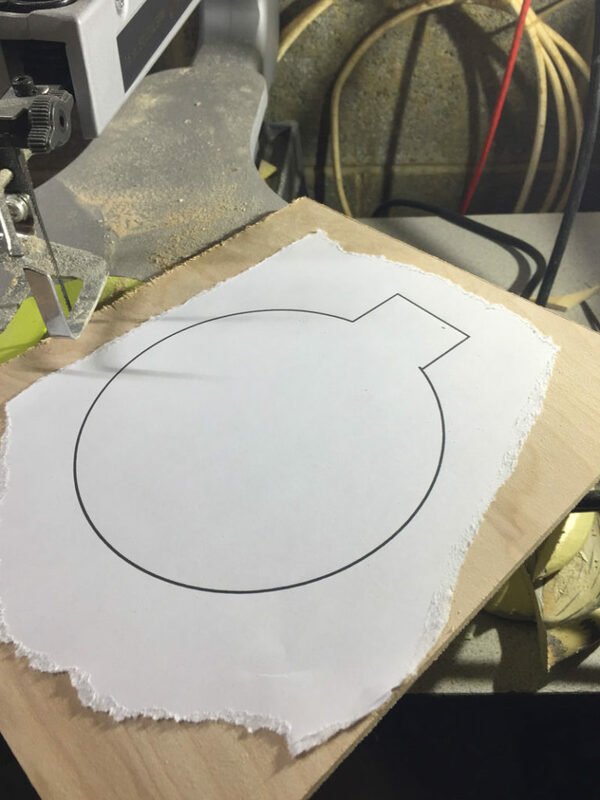 Next, I adhered the paper pattern to the scrap piece of plywood with repositionable spray adhesive. 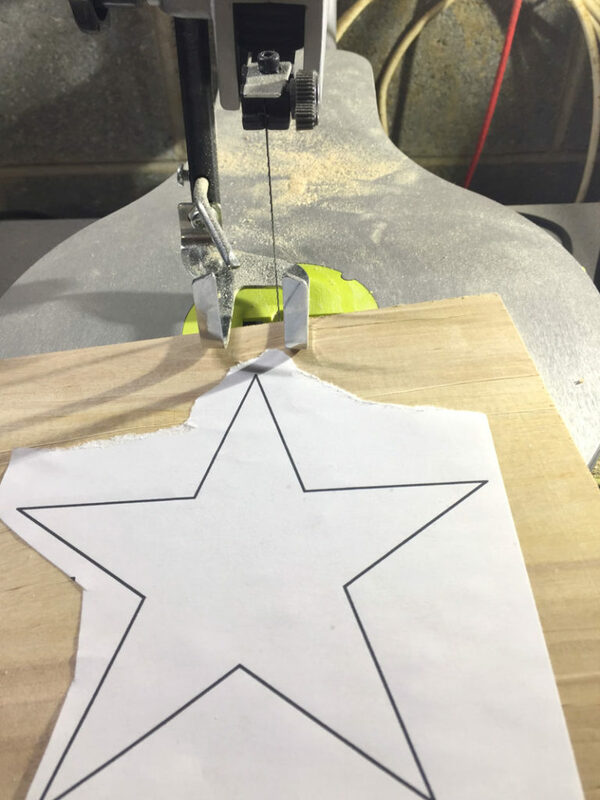 This keeps the pattern in place as you maneuver the wood through the scroll saw. After the shapes are cut out, I drilled a small hole in the top of the ornaments for the twine to pass through that will hold the hook. Now here’s where you get to be as creative as you want. I painted my ornament shapes with various colors of DecoArt Americana craft paints. I used Dazzling Metallic Gold and Dazzling Metallic Bright Copper. These have a wonderful shimmer. 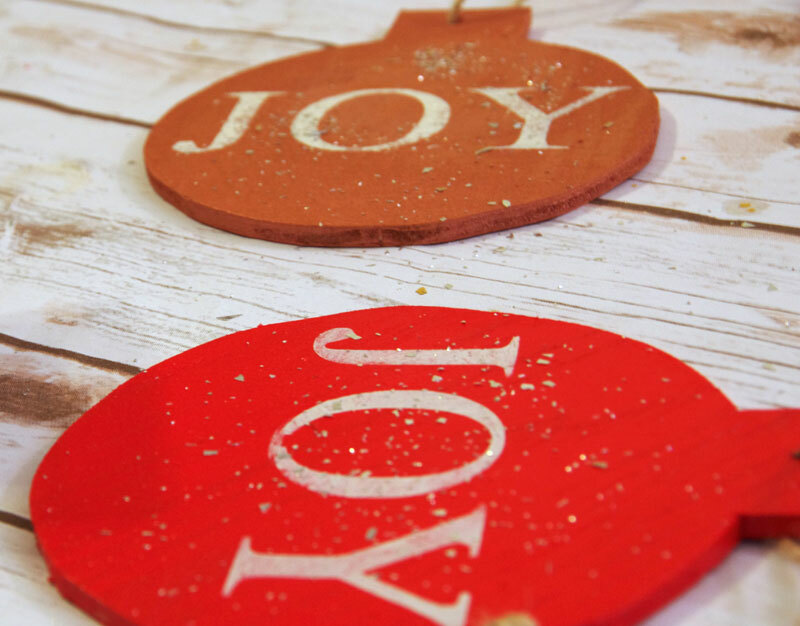 The red ornaments were painted with American Decor Maxx Gloss™ Candle Apple. If you haven’t tried the Maxx Gloss™ paints yet, you are in for a treat. I adore this paint! The next step is up to you. If your handwriting and artistry skills are better than mine, then go ahead and write on your ornaments with markers, paint pens or paint. I have no such skills so I made a stencil that spells out Joy, and I also cut some vinyl words, again using my Silhouette Cameo. You could also use letter stickers and stencils from the craft store. My husband and I both tried our hand at writing on the ornaments. That didn’t go well. But the vinyl stickers look great! Time to add the twine through the previously drilled holes. I brushed on a light coat of Americana Triple Thick. Triple Thick is a gloss glaze. While the glaze was still wet, I sprinkled on a little bit of german glass glitter. 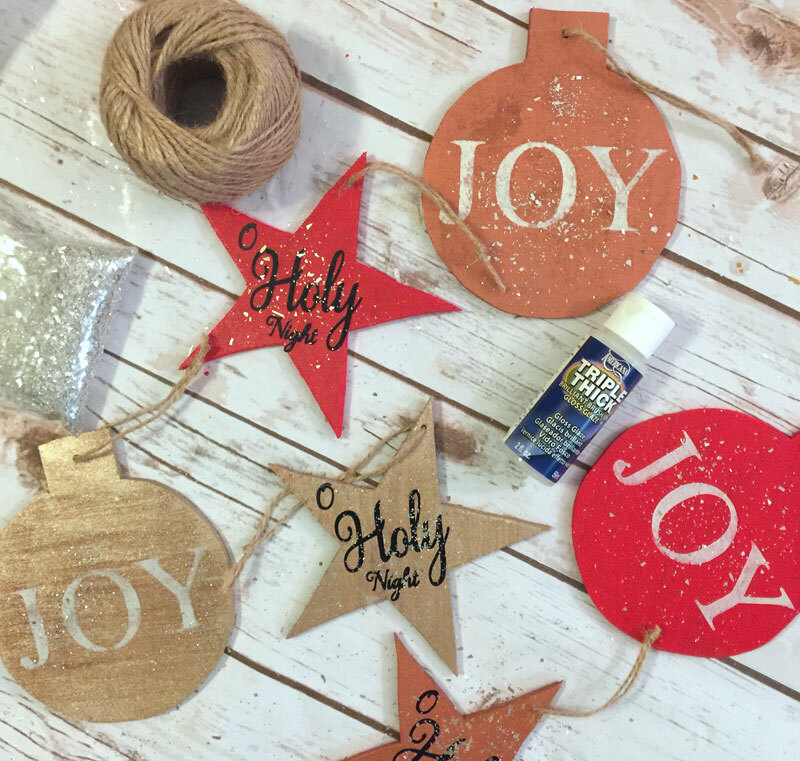 After all is set and dry, protect the ornaments with a clear sealer. I have a Silhouette on my Christmas list this year! Maybe I will be making such adorable ornaments next year! 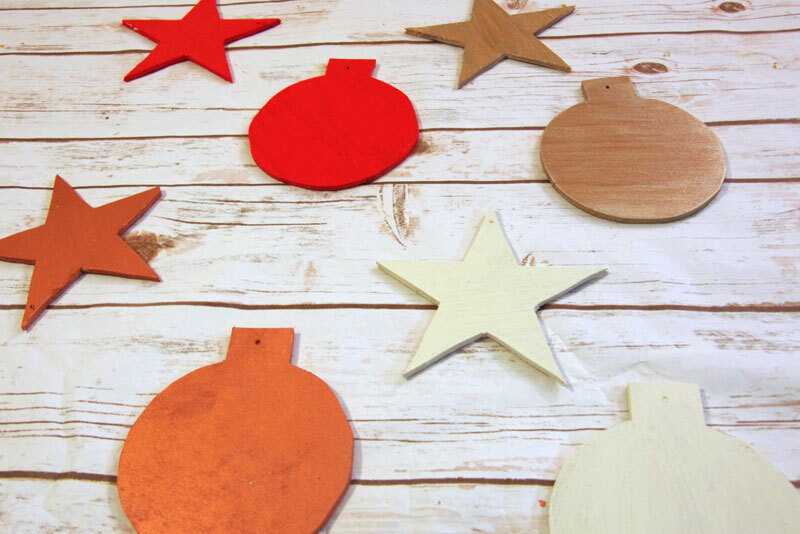 I am loving this wood ornament – it turned out so beautifully. I’ve often thought about making one of my own. Thanks for the tutorial! I love that these are hand cut by you! It totally is a handmade ornament and the paints your chose are gorgeous. I’m sure your exchange partner will love these. I love that how you cut these out yourself! 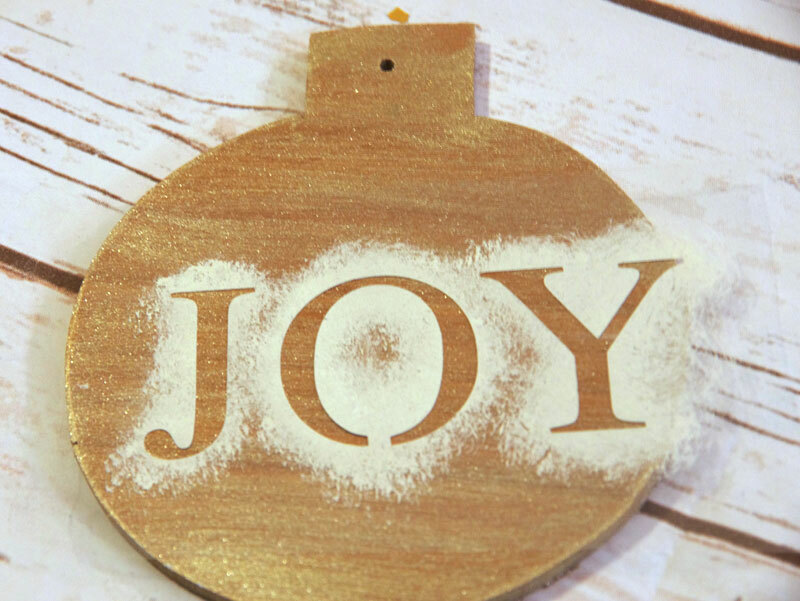 Perfect ornament from a DIY blogger. They are so cute. The gold paint is gorgeous on the wood and the glass glitter is a beautiful touch! Love these! Wow! You made these extra special by cutting them out yourself. I love the touch of glitter too! You did a beautiful job creating a special ornament. I love how you cut them out and basically created everything from scratch. Truly a work of art. These are fabulous! Talk about handmade! What a wonderful idea. I love them all. I love the effort you put into these beautiful ornaments. I would have been happy to receive one!! Super cute! 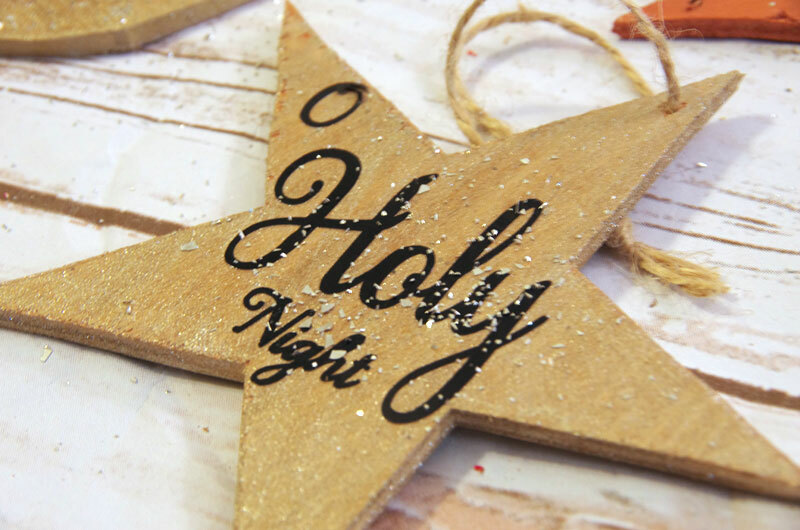 I just keep looking at the one that says Holy Night. I think that’s my favorite!! Love these ornaments. 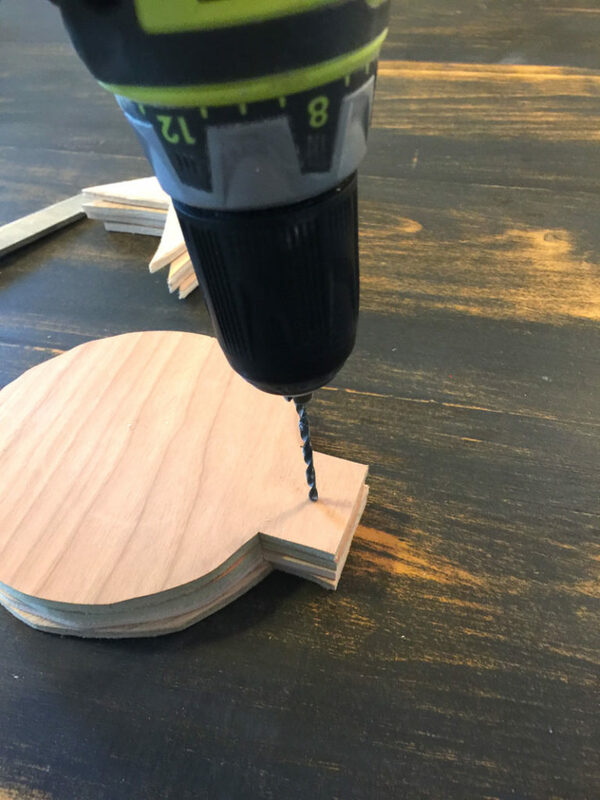 I always have lots of scrap wood from projects from my husband, now I have to learn how to use a scroll saw. The glitter adds just the right touch! Such beautiful ornaments and would make a great gift!